One of my new years goals is to get out and about more with the girls. 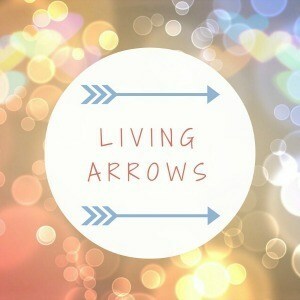 So this weeks Living Arrows is all about our day out at the farm. The weather hasn’t been that great lately so we almost didn’t make it but luckily the rain wore off this afternoon! My first photo makes me smile every time I look at it. It just shows Little’s personality so well. She’s pretty hard to get a photo of these days because whenever she sees the camera she pulls a silly face. Please tell me I’m not the only one with a nearly three year old going on fifteen with the sass? Little has really grown in confidence lately and never fails to amaze me. I have a photo of us on a carousel around about this time last year. She was all smiles and happiness until it started moving and she literally cried for the whole duration! Now she’ll happily go on them by herself. It’s things like this that remind me just how quickly she is growing and changing! Whilst Little is growing up and exploring the world around her I am willing Baby to stay a baby for a little longer! She has always had a thing about her hands, just as her sister did but recently she has really started to grab at things. Anything that comes within eyesight she will grab at. This includes her sisters hair, Daddy’s face and my clothes! I just love how contented she is with herself and just her hands for entertainment! That expression you’ve captured on Little is absolutely adorable! How sweet, is that? Enjoy every second, children grow up so quickly, I sometimes wish I could magic mine back to being little for a day, or two, just to relive those wonderful times! Blink and time has gone! Love her expression! Little seems to have a great personality. Hope you can get out more this Jan! Beautiful photos. It’s amazing how babies can be so contented with their hands isn’t it. I’ve always noticed with Dex that when he starts playing with his hands more it means a Leap is afoot. He is coming up to Leap 6 in a couple of days and true to form the past week or so he’s been using and staring at his hands so much more! Her face on the carousel!! I know what you mean about wanting them to stay little, you want them to get bigger but at the same time not change ever. Lovely post. That first photo is priceless! Oh to be 2/3 again! They grow so fast, you are so right though about willing the second to stay smaller for longer. So different than with the first, when you can’t wait for them to get to their next big milestone. AMy first photo is absolutely brilliant!! Looking forward to following along with your Living arrows journey! That face on Little is amazing it’s great to see that she has become more brave and will go on the rides herself you must be so proud even if she is growing up way to fast.